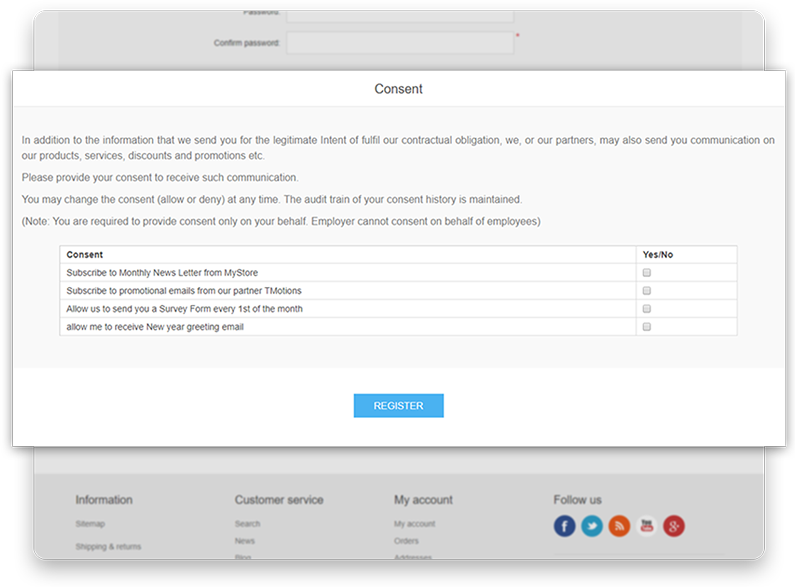 In this version of the Plugin, you can add the Widget (script) on any page to add the GDPR Consent. You can add the Widget on any of the Topic Pages (e.g. 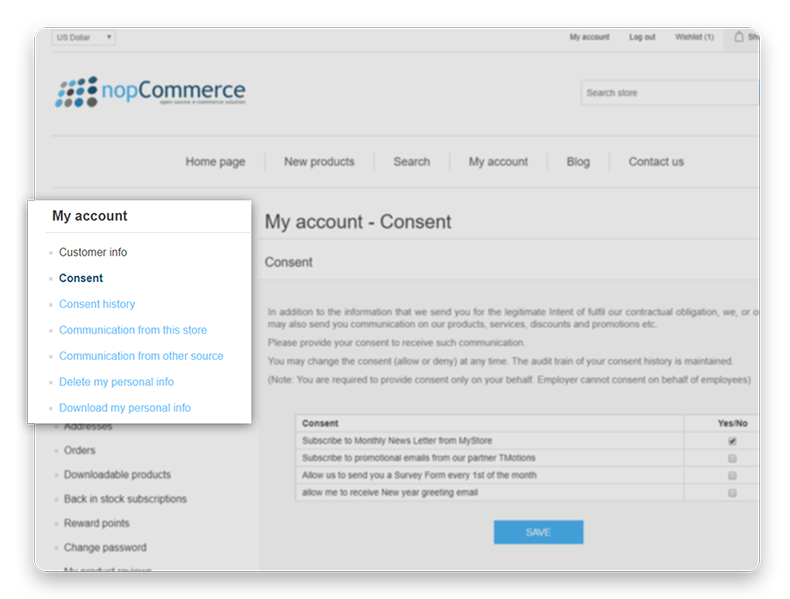 Contact Us) or into the code of other nopCommerce pages (e.g. Registration). 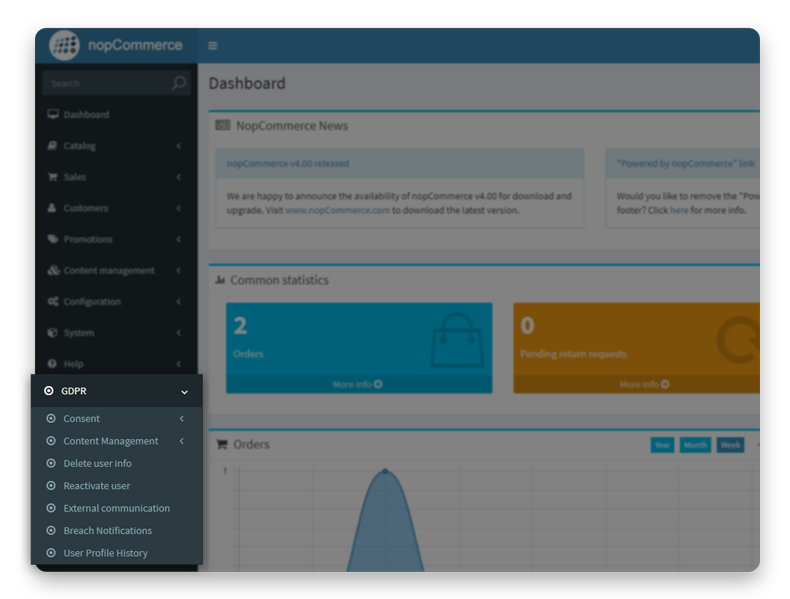 The new version of GDPR plugin makes standard nopCommerce based e-commerce application General Data Protection Regulation (GDPR) compliant. GDPR is the European Union’s new data privacy law which affects collecting and handling personal data of the customers. GDPR impacts virtually every company that’s either based in Europe, or has customers in Europe. GDPR gives people the right to access, correct, delete, and restrict processing of their data, and sets out strict guidelines about how businesses need to get customers to agree sharing their data (consent). This is especially important if you're using your customers’ data for purposes beyond simply informing them about their orders (i.e. for marketing or advertising).